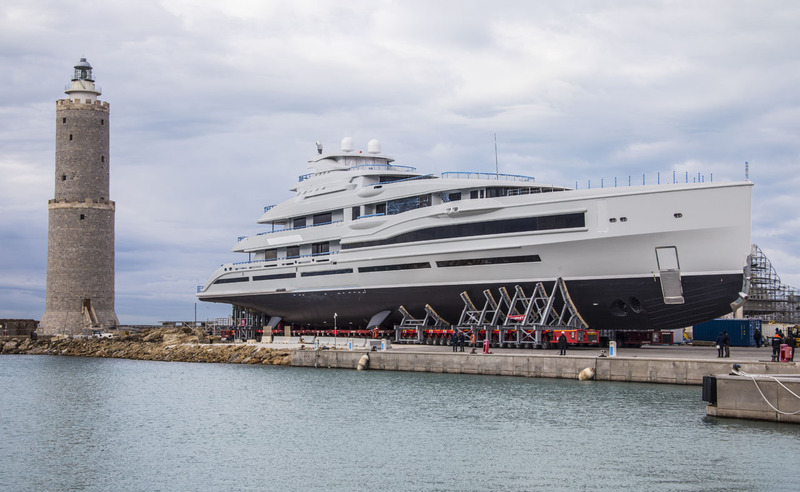 On December 18th, in Livorno Benetti has successfully launched FB277, a 107 meters motor yacht, the biggest ever built in Italy by a private shipyard. 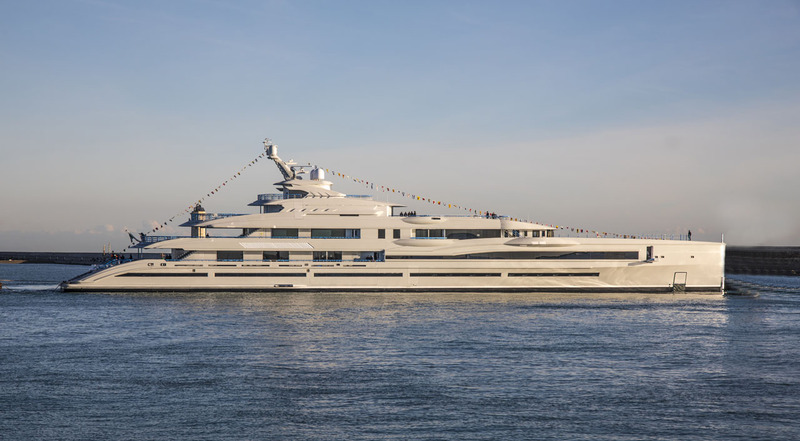 Powered by a diesel electric propulsion system, the yacht’s interiors and exterior have been designed entirely in house by Benetti and managed by Imperial, acting as Owner’s Representative, Build Supervisor and Yacht Manager of the vessel. 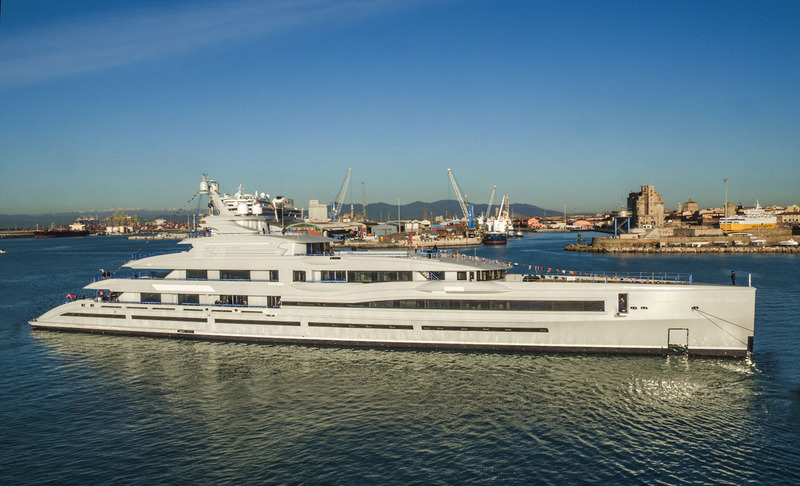 The giga yacht has a hull constructed in steel and a superstructure of aluminium. She features a large swimming pool on the Sun Deck, a grand piano, a Spa with hammam, massage room and gym and a touch and go helipad. Her maximum beam is 15.2 meters and she has a full load displacement of 3,300t. A spacious beach club has access to the sea on both sides of the beam, as well as to stern, creating a huge connection with nature. The ship’s connecting spa area is equipped with a gym and a hammam and massage room. Large areas of deck satisfy the sun lovers: the top deck features seating and sun pads for those who favour a view, whilst the Sun Deck accommodates dining areas, more sun pads and a huge pool that can hold about 21,000 liters. More outdoor seating is found on the Wheelhouse Deck and aft on the Main Deck. 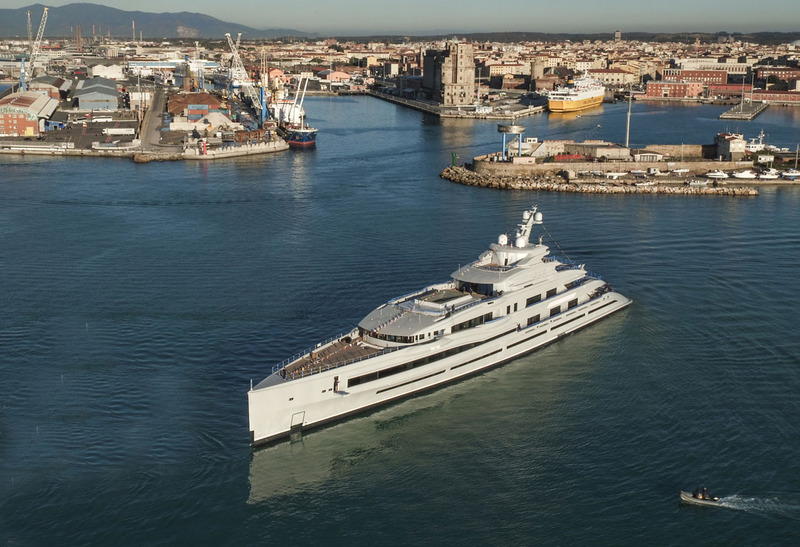 Delivery of the yacht is expected to take place in Summer 2019.